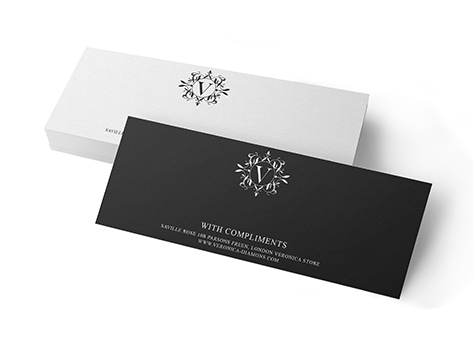 Have your With compliments printed on our most Popular premium paper stock, printed full colour front or front and back, choose from uncoated, gloss or matt finishes and ready to be dispatch on the same day. 420 gsm our Stunning quality with compliments, heavy weight stock, our uncoated range is UV cured. These with compliments don't scuff or mark. Printed on a durable 420gsm artboard. You'll proud to hand these out as they will extend your brand with impressive colour and super smooth finish.